How can I find my ezine article to convert it into a video? 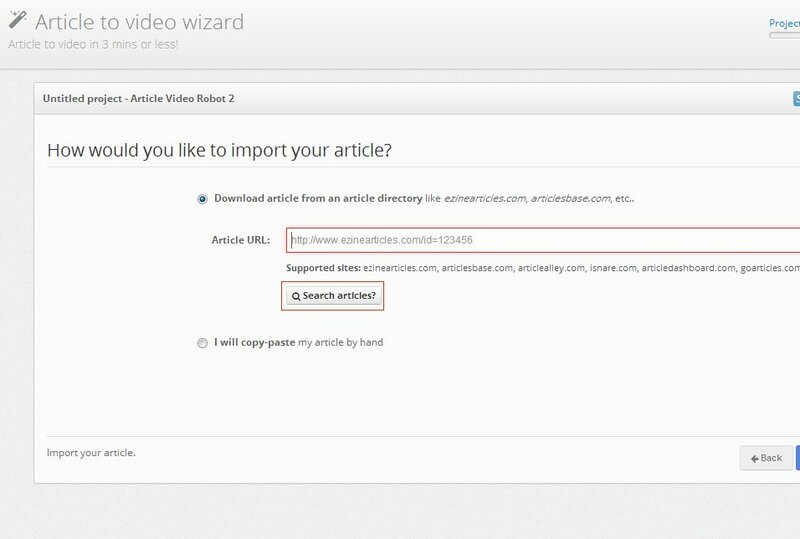 Once you select a theme to bring up Video creation wizard you have two options to input your article. 1. I will copy-paste my article by hand. In this case the wizard will progress to next step and you can manually copy and paste your article. 2. Download article from an article directory like ezinearticles.com, articlesbase.com, etc.. You can select this option to input your Article URL. 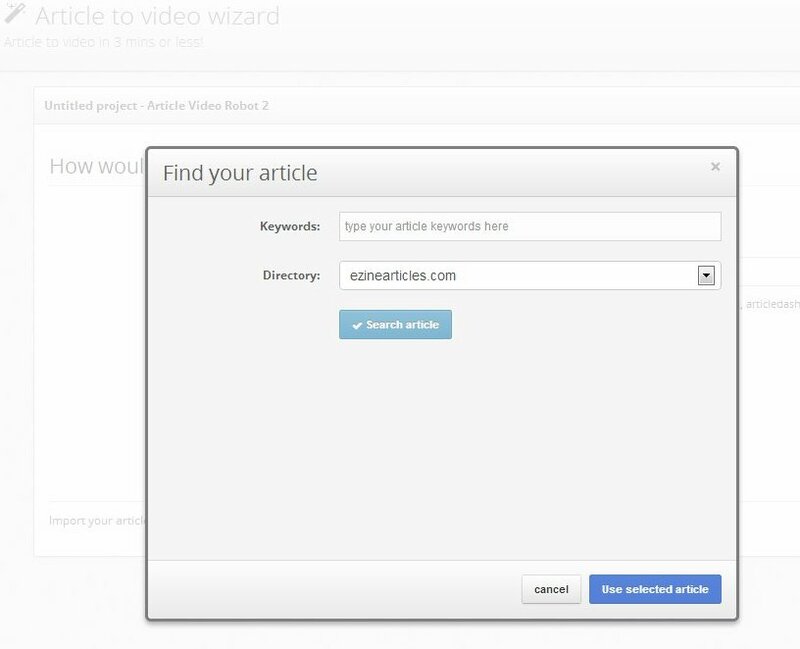 You can also search for your articles using this "Search articles?" button. 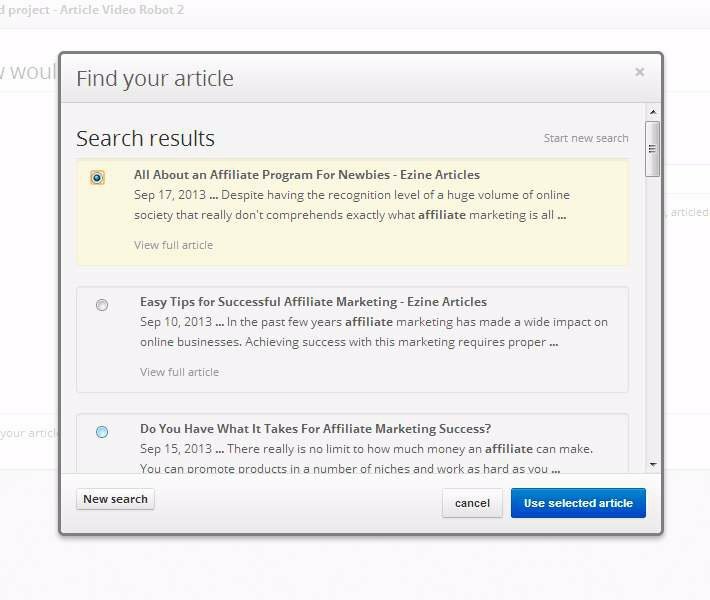 This will bring up a popup window where you can search your article in popular article directories like ezinearticles, articlesbase, etc. Once you find your article click on the "Use selected article" button. 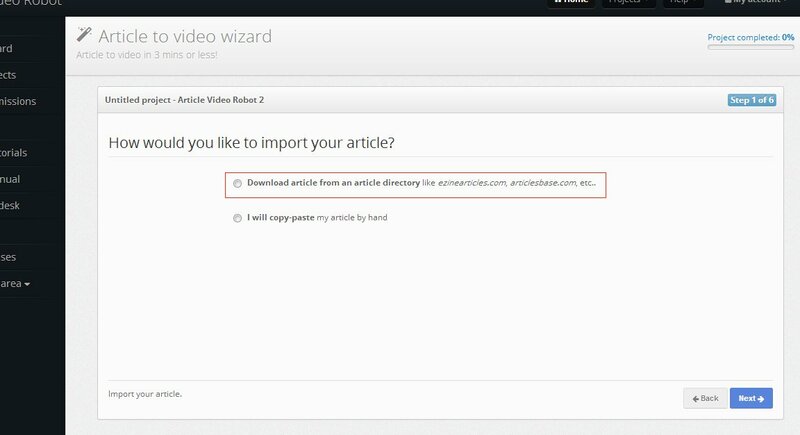 This will automatically fetch your article and populate all the required input fields needed to create your video. 1,029,322+ marketing videos created by 114,691 article marketers From top Internet Marketers to small business owners, everyone uses and recommends Article Video Robot!